Hearing Awareness Week is Australia’s annual event to raise community awareness of hearing impairment and ways to protect your hearing. 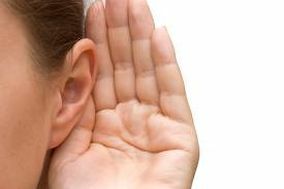 One in six Australians is deaf or hearing impaired or has a chronic ear disorder. For these 3.5 million Australians, there are more possibilities than ever before to be included in all aspects of community and business life, and they are ready! What is needed now is for the rest of the community to catch up and take the opportunity to give people with a hearing loss a fair go. Hearing Awareness Week also provides an opportunity for the 22 per cent of Australians aged 15 and over who have a hearing impairment to share their experiences and knowledge and help to create a greater understanding of their needs, aspirations and the contributions they can make to our nation. Employers have more support than ever to make their workplace inclusive and accessible for Australians with a hearing loss. Australians with a hearing loss are ready and willing – the challenge is to the community to be inclusive.